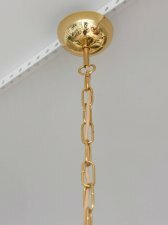 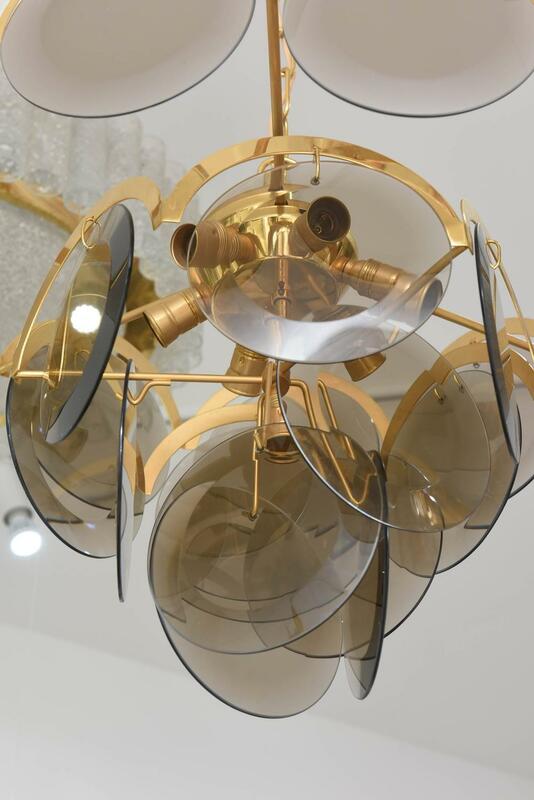 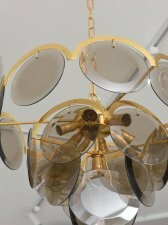 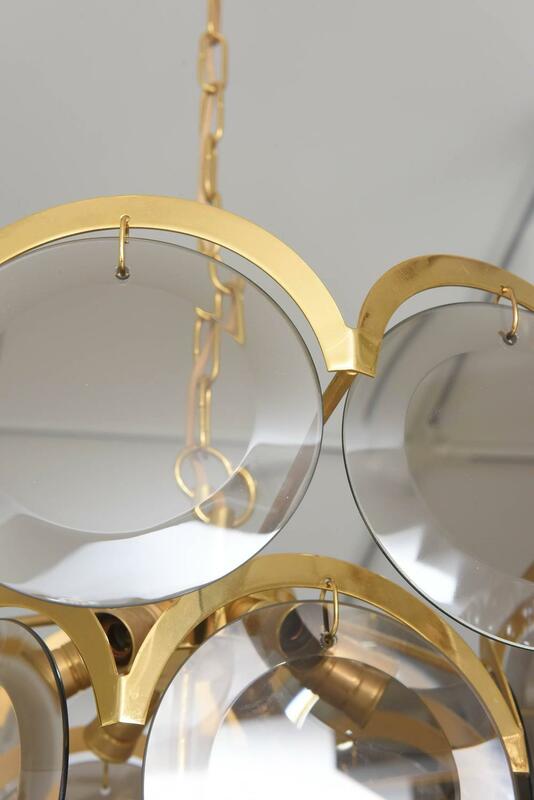 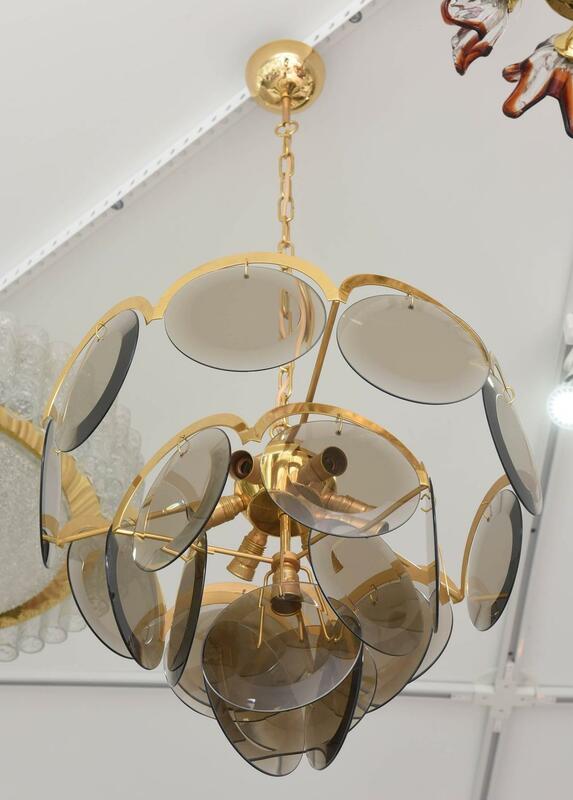 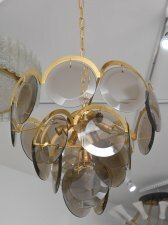 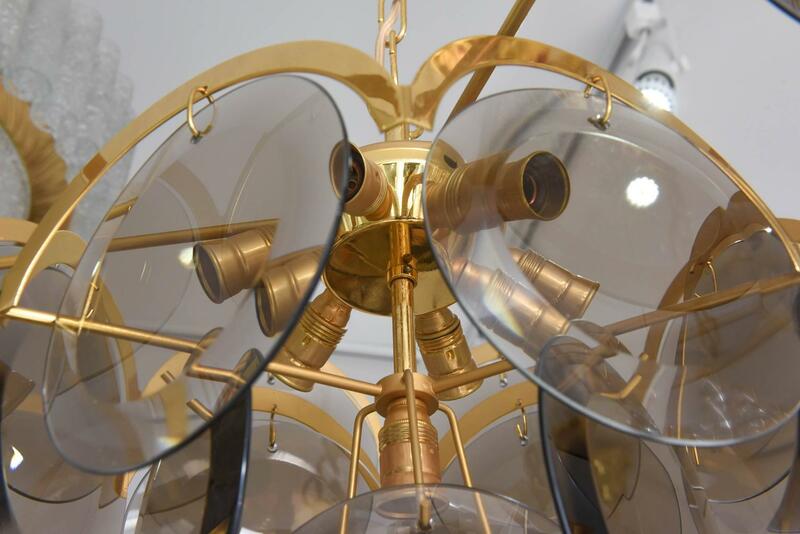 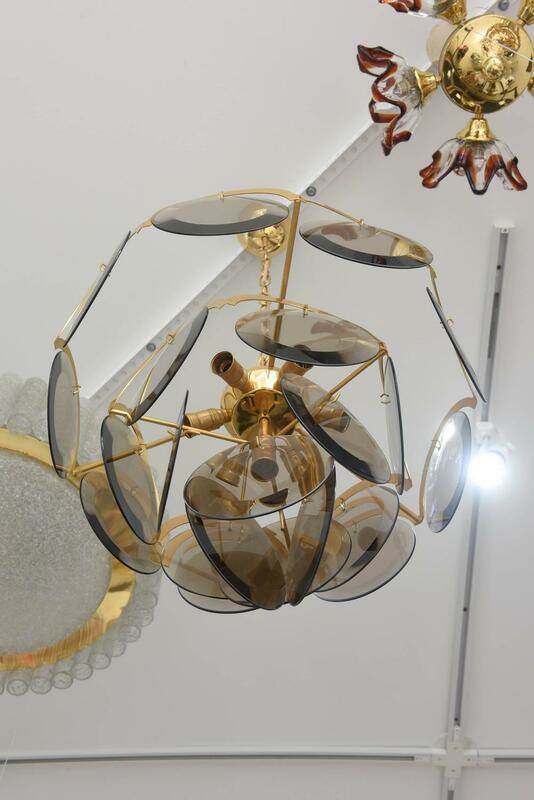 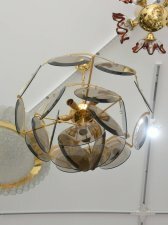 Mid-Century modern smoky glass beveled disk chandelier with brass trim, circa 1960s. 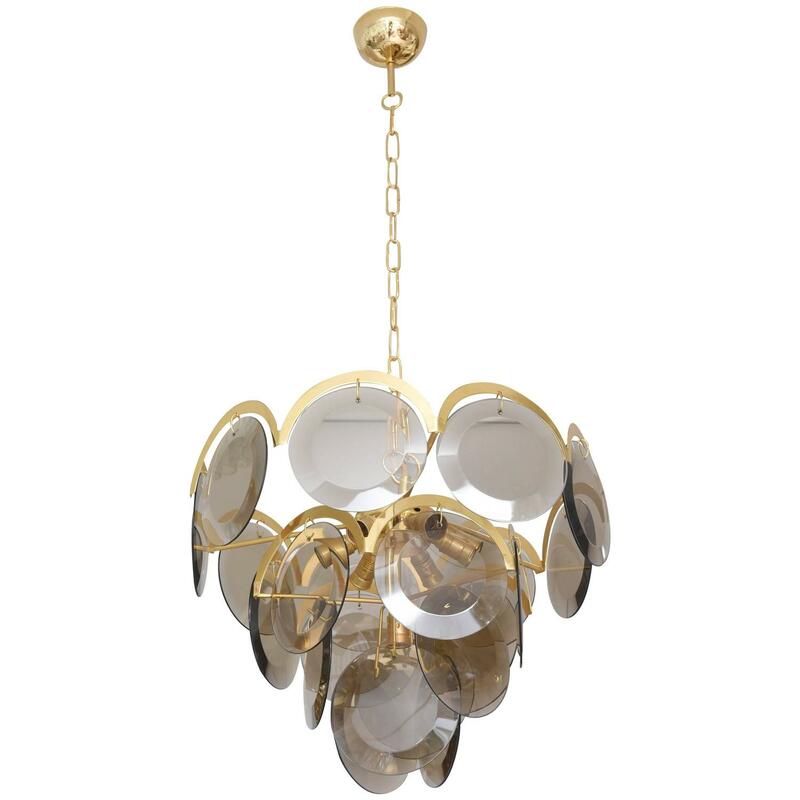 Note: This piece has seven lights with 7.5 in. beveled disks.